Excessive daytime sleepiness were linked with depression. Presence of severe OSA and daytime sleepiness are linked to depression. The study was presented at American Thoracic Society International Conference. Scientists have, in a new study, found a strong link between severe obstructive sleep apnea as well as a heightened risk of depression in men. The study had involved 1875 men aged between 35 and 83 who were assessed for depression at two different time points over a period of five years. After potential confounders were adjusted, the previously undiagnosed severe OSA was linked to an increased prevalence of depression, as was an excessive daytime sleepiness. Those men who had undiagnosed excessive daytime sleepiness suffered about 4 to 5 times greater odds of suffering from depression compared with men who did not suffer from the condition. Both previously undiagnosed OSA and previously diagnosed OSA were seen to be significantly linked with development of depression. 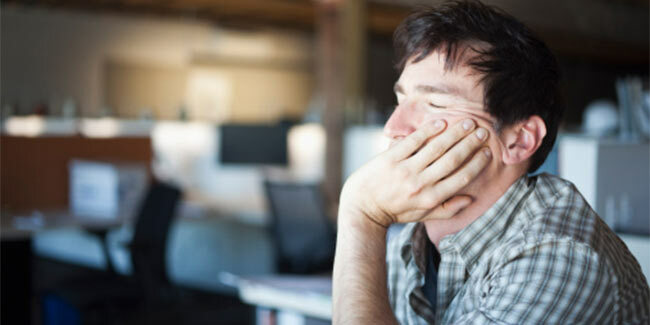 Lead author of the study, Carol Langh, PhD, from the University Of Adelaide, Australia said that severe OSA and excessive daytime sleepiness were linked with prevalence as well as recent onset of depression in the community-based sample of men. He further added that the presence of both was linked to an even greater risk. The study has been presented at the 2015 American Thoracic Society International Conference. Read more articles on Sleep Apnea.